Allowing a button (or two) to melt on your tongue intensifies the beautiful chocolatey flavour of Femmes de Virunga. 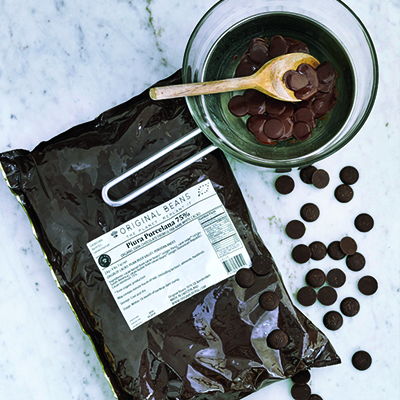 This very dark milk chocolate bar is wonderfully creamy and smooth as it melts on your tongue. With notes of cappuccino and roasted nuts this is a delight for those who love their chocolate, and their coffee, complex.